Hagatna (Agana) Bay and Alupang Beach Club is the popular location for marine sports. ABC is conveniently located 10 minutes by car from the hotel area of ​​Tumon and Tamuning. The ocean at Alupang Beach Club is sandy and shallow, so it is suitable for swimming and enjoying marine sports such as jet skiing safely. 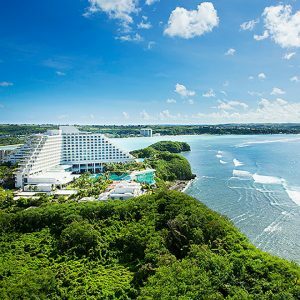 Sheraton Laguna Guam is a heavenly resort hotel full of nature where luxury time can be enjoyed. The hotel overlooks the Hagatna (Agana) bay, which is where the Alupang Beach Club (ABC) is located. The hotel has corner suites with an outdoor private jet bubble bath, which is the only place this is available on Guam. The hotel Infiniti pools have the impression of water going continuous to the ocean. Available are activities such as yoga. At sunset time, the ocean and sky will turn to orange by the beautiful sunset. If you are lucky you may see other nice sunset views. 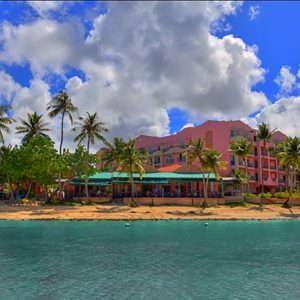 Hotel Santa Fe is a Beachfront Boutique Hotel located on beautiful Hagatna (Agana) Bay, which in itself is renowned for the beauty of its spectacular Sunsets. 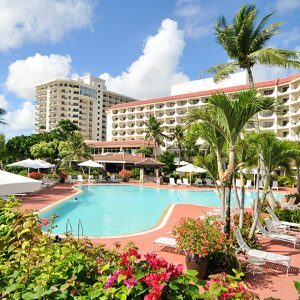 The hotel property and its 105 rooms reflect Guam’s warm and colorful Spanish Heritage in its architecture and sunny atmosphere, and provides the perfect setting for guests who just want to get away and relax while enjoying all that Guam has to offer. 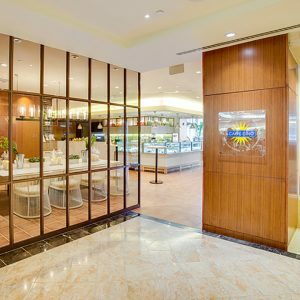 In “Caffe · Cino” beside the lobby of Hilton Guam Resort & Spa, we recommend freshly baked sweets as well as freshly baked breads and freshly prepared sandwiches! Local people seem to come there often for breakfast bread and lunch. 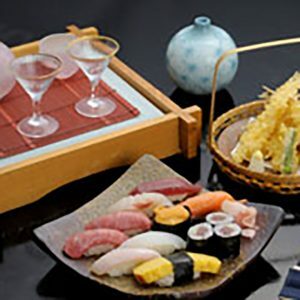 Hilton hotel has distinguished traditional hospitality. Located with one of the best views of a sweetheart Tumon bay cape and the deep blue Pacific Ocean. Hilton has 3 towers which supports various customers needs including entertainment areas. 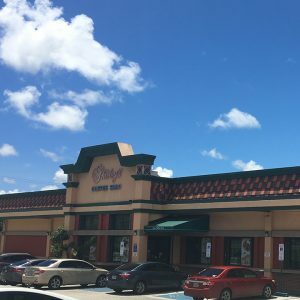 A local institution, Shirley’s Coffee Shops serve up heaping portions of Chamorro, Asian, and American comfort food to a loyal contingent of regulars. Shirley’s has 5 Branches, one branch located 5 min. drive from Alupang Beach Club (ABC). Located at Santa Fe hotel, Guam’s only open air beach front restaurant, the Grille at Santa Fe serves Breakfast, Lunch and Dinner daily. 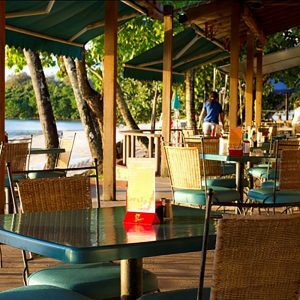 The Santa Fe Bar and Grille covered patio offers great views of Alupang Island in the Hagatna (Agana) bay where Alupang Beach Club (ABC) is located. The surrounding bay and the Philippine Sea on the horizon gives a nice feeling. Art deco design influences with fading pink and turquoise colors gives the bar a retro, lived in feel. Located at the Onward hotel, A teppan counter overlooking one of Guam’s best sunsets, you can savor Teppanyaki featuring fresh lobsters, seafoods, steaks, etc.The Sagano features a wide variety of menu items that includes a la carte dishes that go well with Sake, Otsukuri (assorted sashimi), Sushi with fresh sashimi, etc. Located along Hagatna (Agana) bay. This experience begins with our handcrafted oven from Naples, Italy. The craftsmen behind our Stefano Ferrara oven has been a family owned business for over three generations. 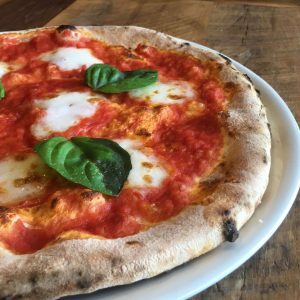 The pride in their homemade ovens that are carefully constructed brick by brick brings a piece of Italy to you. You too can experience the “homemade” feel put into every pizza at Crust. Located on the 16th floor of Onward Beach Resort hotel. 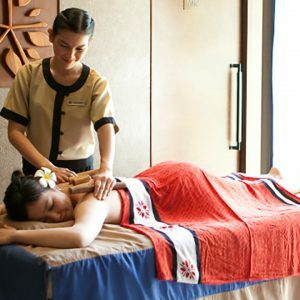 This Spa offers a variety of massages and body treatments same as what would be found in Thailand. Services include traditional Thai massages oil based massage, aromatherapy, specialty foot scrubs, facials, and a hot stone massage. 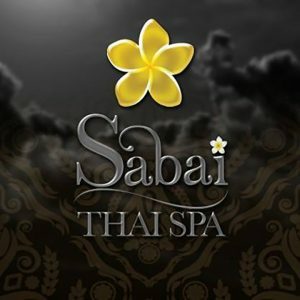 The Sabai Thai Spa features oils and scrubs made from natural ingredients such as almond yogurt grape seed oil and tamarind. Located at Sheraton Laguna Guam hotel. Calm your mind and draw in the serenity of your surroundings. Allow their therapist to offer you a soothing foot wipe, herbal drink and a few minutes to leave the cares of the world behind. Angsana Spa sessions include a complimentary 30-minute calming time on. Enjoy the difference.